Estrogen Support is a professional grade, concentrated, high potency formula designed to support healthy hormone balance with a dosage of only 1 capsule twice a day. Manufactured in a US FDA inspected facility. GMP Compliant. Purity and Potency Guaranteed! We use the highest quality raw materials available. Testing is done at various stages of production. ‡ These statements have not been evaluated by the FDA. These products are not intended to diagnose, treat, cure or prevent any disease. 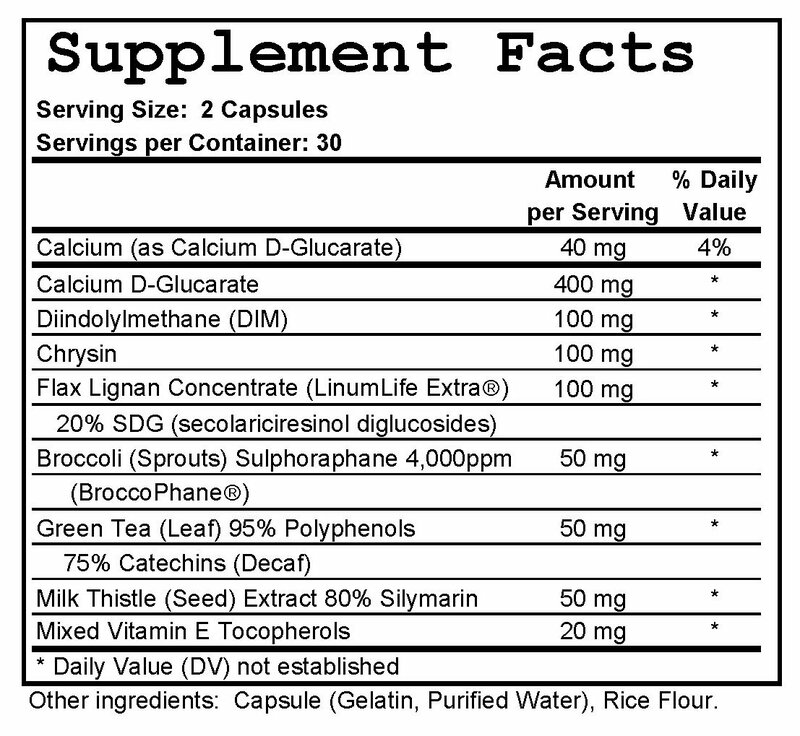 – Calcium-D-glucarate supports the proper elimination of excess estrogens. – Green tea extract for antioxidant protection. – Supportive nutrients including: Flax Lignan Concentrate, High Sulforaphane Broccoli extract, Milk Thistle Extract and Mixed Tocopherols. Calcium-D-Glucarate is calcium bound to d-glucaric acid, which is found in various plant foods such as broccoli and cabbage. Research shows that compounds such as calcium-d-glucarate help support the body’s natural elimination of steroid hormones by assisting in the detoxification process.